This card is adorable, Helen. I love Mickey's silhouette with the bow for Minnie. Very cute idea. 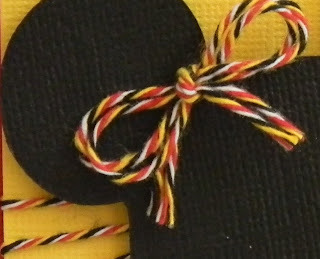 Your card is adorable, the Mickey looks awesome with the Celebration twine! What a cute card! Great work!